The Amazon Dot is the cheaper version of the original Amazon Echo. Credit Suisse has raised its price target on Amazon.com. The move is on the heels of serious selling pressure on Amazon and other high-beta internet names. When you go to Amazon, you’ll find savings on everything from books and electronics to groceries and baby needs, but are you really getting the best deals available? It’s no question that if you want something, you can probably find it on Amazon. The options go on and on — and it’s all one click away. Getting an Amazon deal is easy, but how do you get a steal? Learn how to save money on Amazon by following our tips and tricks. Don’t let over-clicking and overspending lead you into debt. Follow our strategies to make the most out of your Amazon shopping experience and start saving even more on purchases made at this online retailer. 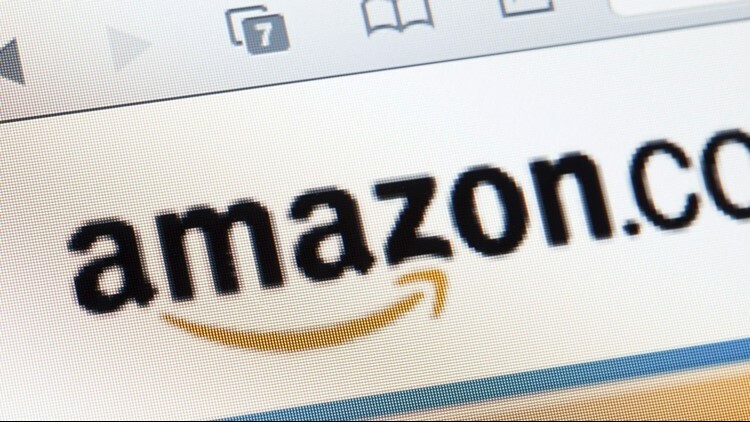 Read on to learn 21 secret ways to save at Amazon, get the best deals available, and decide if the Amazon Visa Card is right for you or if an alternative cash rewards credit card is a better option. Signing up for Amazon’s Subscribe & Save program can help you save up to 15% and get you free shipping on items you regularly buy, like deodorant, toothpaste, makeup, cereal, pet food, and cleaning supplies. All you have to do is find the items you want, hit “Subscribe & Save” instead of “One-Time Purchase,” and you can set up a regular schedule for receiving these items. Once you subscribe, the items will be delivered to you automatically. So the next time you run out of soap, you don’t have to worry about making a last-minute pharmacy run. Amazon has you covered. But keep in mind, item prices may fluctuate over time. If you download apps like Swagbucks, Survey Junkie, Inbox Dollars, or Ibotta, you can earn free Amazon gift cards by simply answering surveys, playing online games, or submitting receipts. For many, you can earn $5 cash back when you sign up. 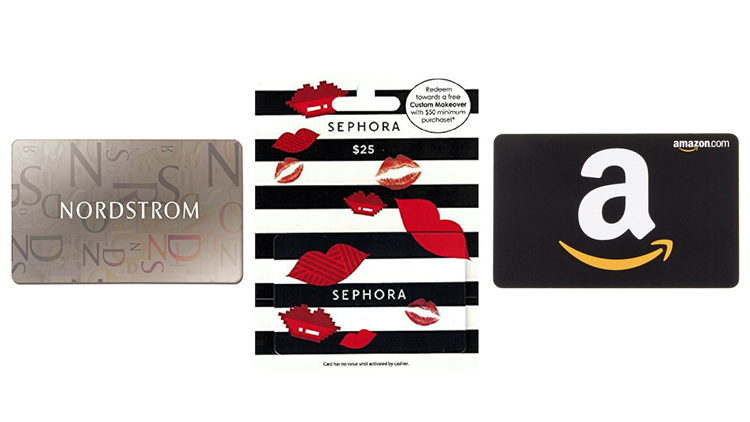 You can also buy discounted Amazon gift cards from sites like Raise.com and Gift Card Granny to score Amazon gift cards at less than face value. Amazon offers a traditional credit card in addition to their store credit card. This Amazon.com card offers 5% cash back on purchases made at Amazon.com or at Whole Foods Market, as well as 2% cash back on restaurant, gas station, and drugstore purchases. On top of that, you can earn 1% cash back on everything else, and it can be used anywhere that Visa is accepted. How can you save on Amazon if you’re not interested in acquiring new plastic? Skip Prime altogether and get some kickback on your purchases by using a different rewards credit card. Check out another credit card from one of our trusted partners*: Discover it® Cash Back, which doesn’t require you to be an Amazon Prime Member. Just be careful not to spend more than you’ll be able to pay off in full. Otherwise, your points, miles, or cash back will be lost to accumulating interest. Remember, high credit card balances can hurt your credit. To see where your credit score is currently at, you can view two of your credit scores for free on Credit.com, updated every 14 days. If you’re a frequent Amazon shopper, you’re probably wondering how you can save money on Amazon. You can pay a $119 yearly fee to join Amazon Prime. Members earn rewards on purchases, get free two-day shipping, and free same-day delivery and/or two-hour delivery in eligible zip codes (yes, two-hour delivery is an option). With a Prime membership, you’ll also get access to a selection of streaming exclusive TV shows and movies, earn additional Amazon coupons, and get a free two-month trial on the family plan of Amazon Music Unlimited — plus a discount on the full membership if you decide to join. If you don’t shop online often or if you’re not sure Amazon Prime is right for you, sign up for a free 30-day trial, take advantage of the deals, and cancel it before the month is over. If you like Amazon Prime, but can’t afford to pay for a yearly membership, consider paying the $12.99-per-month fee, with or without free shipping. Just keep in mind, if you end up paying the monthly fee for a whole year, you’ll end up spending more than the yearly fee. 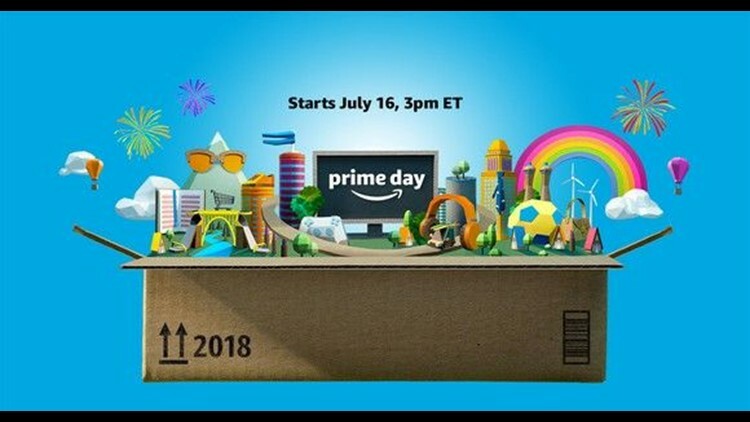 If you’re a student with a valid .edu email address, you can sign up for Prime Student and get all of the benefits of an Amazon Prime membership for half the price. You’ll get a free six-month trial, and then you’ll get upgraded to standard Prime for 50% off. As a Prime Student member, you get free two-day shipping, access to streaming video, thousands of books and magazines, as well as early access to select Amazon Lightning Deals, among other perks. If you’re a family-oriented Prime member, you can sign up for free at Amazon Family and get access to exclusive Amazon offers and coupons, in addition to 20% off subscriptions on family-related items like diapers, baby formula, vitamins, etc. Plus, get a 15% Baby Registry completion discount. All you have to do is create a child profile to get started. Amazon Prime Members get another great perk: they can join Amazon Household and add up to 10 family members to their account. Adults and teens can share select Prime benefits, as well as digital content through Family Library. Children can use Amazon FreeTime, a subscription that comes with unlimited access to thousands of kid-friendly books, educations apps, etc. With Prime Wardrobe, Amazon Prime members can have clothes delivered before purchasing them, so they can actually try them on. That’s right. You get the benefits of shopping in-store, but the luxury of shopping from home. Once you decide what you want, you only pay for what you keep and return the rest using Amazon’s pre-paid shipping label. The retail giant offers a standard Amazon.com card (the Amazon Prime Store Card), which is strictly no-frills for non-Prime members. If you are a Prime member, you’ll receive a full 5% cash back on Amazon purchases, which can really add up for frequent Amazon shoppers. Amazon partners with quite a few credit card issuers (like Chase and Discover), so you can pay for your Amazon.com purchases using your points or cash back — and not the hard-earned funds in your bank account. This is one of the easiest ways to avoid the Amazon.com card but earn rewards for Amazon purchases. Every day can feel like Cyber Monday if you browse the “Today’s Deals” section on Amazon. From coupons and 24-hour deals to open box and used items, the savings are endless on your Amazon purchases. For even more discounts, check out Amazon Coupons and clip the coupons you’re interested in. Amazon price tracker sites like camelcamelcamel.com, Keepa, and Tracktor monitors millions of products on Amazon and send you price drop alerts on the items you want, so you can take advantage of the lowest price available. You can also add items to your checkout bag and leave them there — and eventually, Amazon could reward you with an additional discount (but this isn’t guaranteed). Use price comparison sites like PriceBlink.com or install a coupon aggregator like Honey on your computer or phone to see if there are lower prices and/or coupons on the items you want. There’s no reason to miss out on great deals if the items are cheaper elsewhere. While you’re viewing a product, PriceBlink.com, for instance, scans more than 4,000 additional merchants for lower prices, so you know you’re always making the most informed purchase. Sign up for a MyPoints account, and you’ll earn points for every dollar you spend when you go to MyPoints Amazon. If you’re already shopping on Amazon, you might as well make money while you do it. Plus, you’ll even earn a $10 Amazon card with your first qualified purchase. If you’re searching for a specific product on Amazon, don’t always think the first item that pops up will be the cheapest. In fact, if you’re in the market for a certain product, you can save on Amazon, if you dig deeper. Rather than just typing in the object name in the search bar and buying the first thing that appears, check out the “Customers Who Bought This Item Also Bought” carousel below the item for products that are likely to be very similar to what you’re looking for — but potentially much cheaper. Use the Amazon Trade-In program to earn gift cards on items you no longer use. Instead of taking your books, toys, or video games to a secondhand store, add trade-in items to your account and earn cash rewards through Amazon.com gift cards. Don’t worry about shipping costs. Amazon takes care of that for you. You can also browse the Trade-In Store for items you’re interested in buying. If you want deep discounts, Amazon Warehouse is where you should go. You can find items that are like-new, used, or refurbished at fantastically low prices. Amazon also carries open-box products, which includes functioning computer games and software. Don’t worry, all of the items included in the warehouse are in decent condition, thanks to Amazon’s strict policies. This isn’t necessarily a price-saving hack, but AmazonSmile lets you donate 0.5% of your purchase to the charity of your choice. You pay nothing extra. Just go to Smile.Amazon.com and start shopping on Amazon like you normally would. Okay, this move won’t net you a discount, but it may stop you from going overboard and busting your budget. Amazon makes it easy (almost too easy) to buy items, so if you want to stop yourself from hitting “Buy Now,” go to Amazon’s 1-Click Settings, click “Make default,” click “change,” and finally, click “turn off everywhere.” Now you don’t have to worry about accidentally ordering. Q: Can I get savings on Audiobooks specifically? A: Yes, Amazon owns Audible. Like Amazon Prime, you sign up for a 30-day trial of an Audible account and take advantage of all of the book deals available. If you choose to sign up, you get two free books. If you are an AARP member, you can also get up to 50% off audiobooks without being an Audible member. Q: How can I check Amazon credit on Amazon.com? A: You can check your Amazon Appstore credit balance by clicking “Redeem a gift card or promotional code and view balance.” If you have gift cards on your account, you can also check that balance by clicking on “Gift Cards” in your Account settings. Q: How can I make money on Amazon.com? A: If you want to make money on Amazon.com, the easiest way is to start selling. You can sell products you’ve made, books you’ve written, or movies you no longer watch. Q: How can I view an item’s price history? A: As mentioned above, we suggest using an Amazon price tracker, which gives you updates on price drops, but also gives you a detailed price history chart. That way, you know if the current price is worth taking. A: If you used to shop for designer goods on Amazon’s MyHabit, you’re probably wondering why you can’t still find up to 70% on goods and clothing. MyHabit no longer exists. However, you can still shop on Amazon Warehouse or Amazon Outlet. Now that you know how to save money on Amazon, enjoy shopping (and all of your Amazon savings). Note: It’s important to remember that interest rates, fees and terms for credit cards, loans and other financial products frequently change. As a result, rates, fees and terms for credit cards, loans and other products cited in these articles may have changed since the date of publication. Please be sure to verify current rates, fees and terms with credit card issuers, banks or other financial institutions directly. Want more shopping hacks? We’ve got plenty. You can find secret ways to save at Target here. Have another brand you’d like us to tackle? Let us know in the comments.